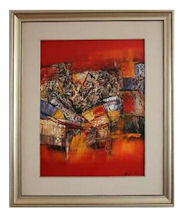 Art Gekko is all about bringing vibrant pieces of art to the UK from sources all around the world. Currently, the featured artists are, in the main, from Indonesia, but over time the portfolio will extend to other sources that have impressed, in other countries. The whole concept of Art Gekko evolved from a strong creative flair and 18 months of travelling the world. Hilary Simms spent 15 years in marketing: she has an eye for detail which she was able to explore through the design side of her marketing roles. Whilst being really motivated by creating things for herself, she also derives great pleasure from seeing a piece of final work perfected for others to enjoy. When Hilary, and her partner Ben, spent 18 months travelling the world, they identified various sources, artists and craftsman that stood out above the rest. Returning to Indonesia as their final destination, they encountered the most impressive arts and crafts. Here, they were able to forge real business contacts and put their plans into action. Choosing artists is never easy. They sought out quality artwork that made an impact, but also trusted recommendations from artists and experts in the trade: the best work is often discovered way off the tourist paths. Adding picture framing to the business package was a simple necessity: it enables Hilary to import artwork as rolled canvas then frame them herself. The next step is to market Art Gekko locally through door drops and local advertising, with the expectation of generating additional framing opportunities as a result. There have already been several framing orders from friends and family, as well as orders generated by the stand at Spitalfields Art Market. In fact Hilary researched various “art markets” to find one or more that would suit the price and type of art they were selling, and have a sufficient flow of people, considered to be among the target market. Spitalfields was selected as first choice, because it runs from Thursday to Sunday: it has the possibility of attracting city workers as well as the general public. Before training with the UK School of Framing, Hilary knew the deadline was tight, from course to date of the Art Market. So she contacted local Framers/Art Galleries to offer her services following her course. 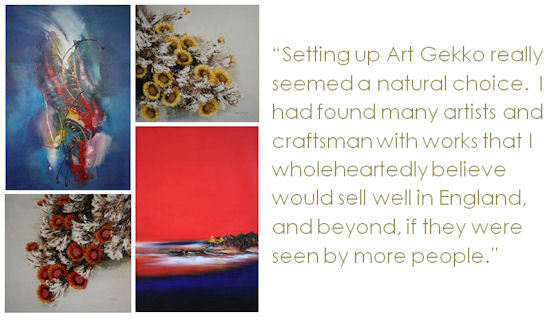 She was lucky enough to get work in a Framing Shop immediately, practising skills and building confidence before framing the artworks she wished to sell. Of course, as with everything, practice does make perfect: the more you do the more confident you become. Working in the framing shop boosted her confidence and ensured she felt comfortable with marketing herself as framer and art dealer. Much of the interest generated before the exhibition was among friends and family. 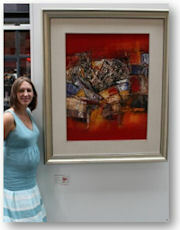 Hilary and Ben used the Art Market as the launch platform for Art Gekko and for the first showing of the framed artworks. Spitalfields is a very busy market so they were really pleased with the amount of interest and incredibly positive feedback from visitors. The artwork pulled people into the stand and provided many opportunities to speak directly to potential buyers. Lessons such as, selling a more varied range of artwork: a range of sizes; offering prints; pushing the framing part of the business more strongly. One person asked about framing after arriving on the stand and reading our marketing leaflet. Hilary had anticipated marketing the framing separately as a more localised service: however they took a couple of framing orders on the stand too. Hilary will continue to do the framing locally, in Wandsworth. But she also learnt, at Spitalfields Art Market, the value of getting in front of people who live or work in and around where Art Gekko exhibits; these are strong, potential customers. Currently working from home, having converted the dining room to a workshop, a more substantial office/workshop is in the planning, to enable Hilary to store equipment and work in her own space. Starting an ebay shop (visit Art Gekko on Ebay) was really a quick fix for demonstrating that Art Gekko exists, to describe what they do, show the artworks and to provide a way of taking credit card or PayPal payments. Art Gekko also bought the domain name a couple of months ago because they needed to set up the website in time for the launch on 1st July 2010. They aim is to have www.artgekko.co.uk set up and fully functioning very soon, which will also provide a more formal way of taking payments. The final forecast for Art Gekko should go to Hilary. She is clearly focussed, committed and along with her partner Ben, thoroughly enjoys this project. This must be one of the quickest routes we have ever featured at DIYframing, of a business moving so effectively from the planning stage to trading. We wish Art Gekko well: it’s clearly a business well worth watching.